The Jewel of the Scandinavian Peninsula, as it is often referred to, Norway is one of the European countries with the longest coastlines. It's also one of the coldest places on the continent, with a lovely population of polar bears roaming its northern islands. Despite its large size, the population of Norway boosts only a bit over 5 million, mostly concentrated in the south, around the capital Oslo. But Norway has something unique to it - the fjords - inland narrow gulfs on its western coast, as well as stunning nature and a very interesting, even if at times cold, culture. Lets discover some of the wonders. 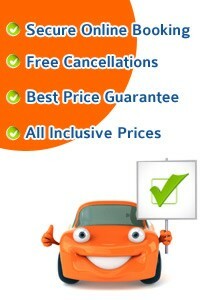 Take this opportunity to get the best car rental deals in Norway... CHEAPER. Oslo is the obvious starting point for a proper road trip in Norway. 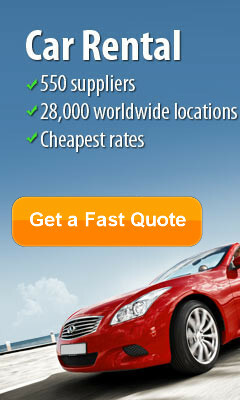 It hosts the country's biggest international airport where car rentals are fairly easy to find. Travelling around Norway with a rental is quite a popular way of visiting the country. Oslo is not the most spectacular city in the world, but it has some interesting sights: the Norwegian Royal Palace, the Oslofjord (the waterway on which the city is located), the Akershus Fortress, overlooking the fjord, and the very interesting Folkemuseum, housing different architectural examples of typical Norwegian settlements. Driving towards the West, around the country's rugged coast, we arrive in the ports of Stavanger and Bergen, two of Norway’s main departure points for the code ships (fishing brings a large income to the country). Not before we pass by Voringfossen, one of the highest waterfalls in Norway, with 198 meters of complete fall. The Hanseatic architecture in these two cities is splendid, being kind of a mix between the Norwegian and German styles. Beautiful panoramas of the cities and the adjacent fjords can be seen from surrounding mountains - usually, they can be easily hiked or a cable car will bring you to the top. Stavanger also boosts the oldest cathedral in Norway - the Stavanger domkirke. If you want to take the hire car further north, be advised that proper winter gear is needed. But if you decide to take on the eternal winter, it will pay off for sure. That's because, a couple of hundred of kilometers to the North, we find Norway's prime attraction for motorists - the Trollstigen. This incredible piece of road that is literally named "Troll's Path" consists of a series of twists and bends that will make your heart beat faster - all this at a 10% slope. 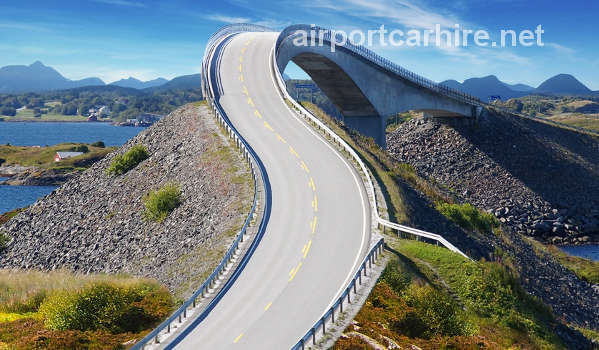 The road is one of Norway's main tourist attractions and even has a tourist center on its highest point. Nearby, the Geiranger fjord, a World Heritage Site natural wonder, awaits its visitors. It has 15 km in length - incredibly far from the coastline - and is roamed all day by ships participating in the two hours visitors cruises. The Seven Sisters waterfall will miraculously appear out of nowhere on one of the mountain facades that guard the fjord. Unfortunately, you can explore all these wonders only by boat and, even worse, this is the end of our trip. Hope you enjoyed it! Evenes - Airport Arrivals Hall, Evenes Airport.